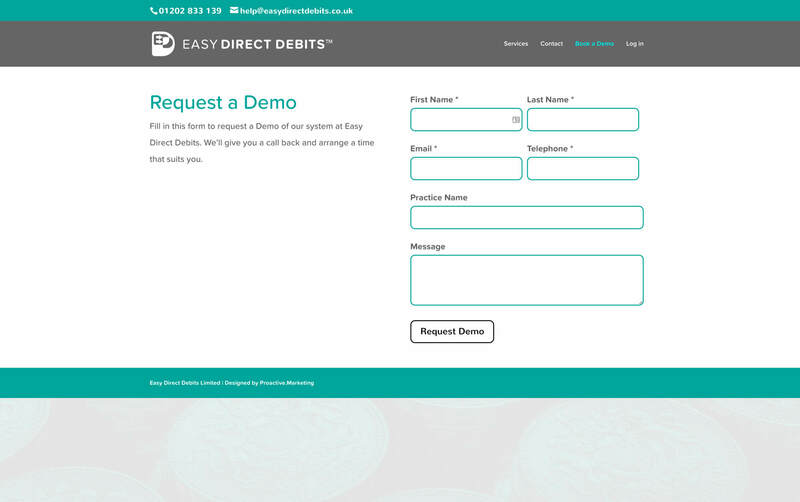 Easy Direct Debits had a very basic web presence (a simple holding page with their logo). We had previously designed the branding for the company and have created a full suite of marketing items. You can view these projects here. The website home page begins with an animated video introduction. 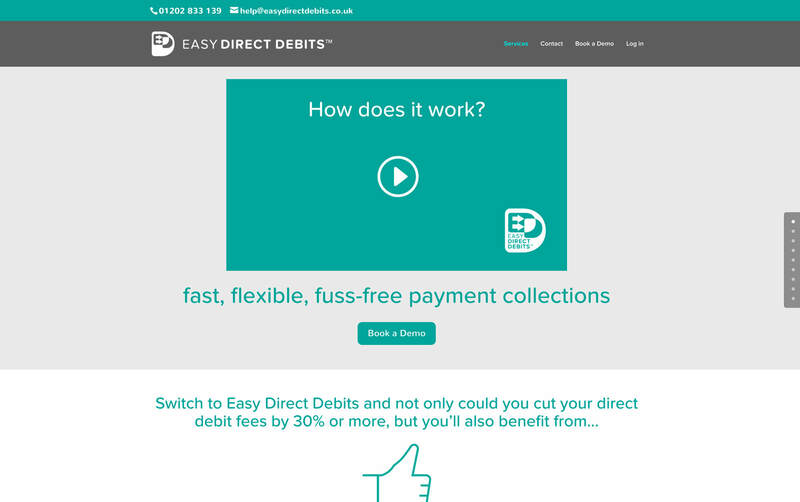 This seemed the most effective way to convey the simplicity of changing direct debit providers, without using long winded text explanations. The video is immediately followed by a call to action, so readers can request a demonstration. 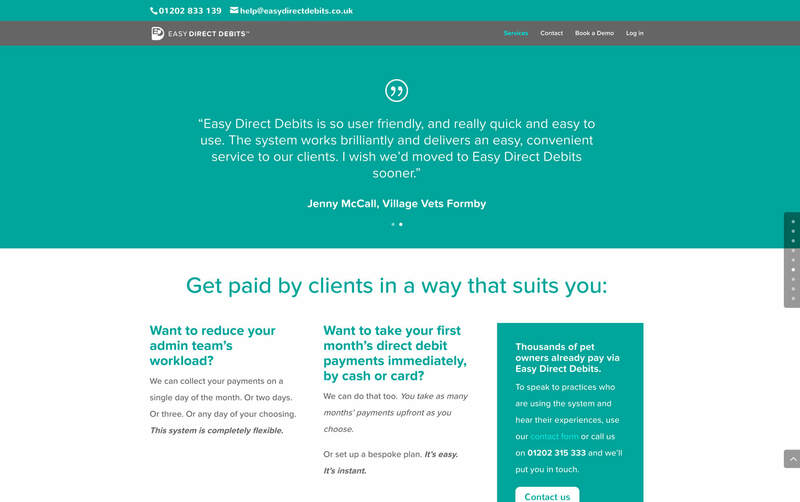 Easy direct debits have chosen to use a CRM system supplied by Infusionsoft which required a level of CSS styling to bring them inline with the companies branding. The following page sections show the various benefits and options available. We illustrated them with unique icons and simple bulleted information statements – the key to the layout was always to keep the reader engaged, so this type of layout worked best for this customer. A simple website design that reinforces the businesses service offering, with plenty of CTA and reinforcement of brand identity.